Applications for transfer admission to LaGrange are reviewed on a rolling basis. So, the sooner you submit a completed application for transfer admission, the sooner your transfer counselor can render a decision regarding your admissibility. If requested, college catalogs from specific colleges or universities attended, or current copies of course descriptions from the catalogs with information for all courses taken. If you have completed less than 45 quarter or 30 semester hours of transferable college course work, an official high school transcript including SAT or ACT scores. The LaGrange College Statement of Good Standing completed by the appropriate official at each college or university attended. Once the Admission Office has received all of your materials, your completed application file will be reviewed to determine your potential for success at LaGrange. Please note that the cumulative college GPA required of transfer students applying to LaGrange is 2.00 or higher. Transfer applicants must be in good standing and eligible to continue a course of study at the college or university they last attended. The LaGrange Registrar's Office will review and evaluate your records to determine which credits will transfer. Your college transcripts serve as the registrar's primary source for a listing of both the courses you have taken and those currently in progress. You must have a grade of "C" or better in each course considered for transfer credit. Transfer credit may be granted for courses which correspond to or are considered the equivalent of courses offered at LaGrange College. Up to 60 semester hours may be transferred from an accredited two-year college. Transfer students must complete the general education requirements that apply to the class with which they entered, i.e., sophomore, junior, or senior. 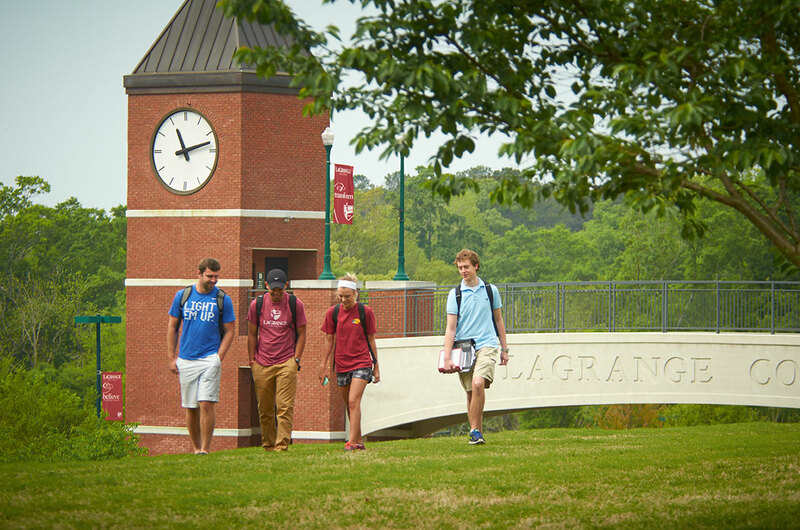 Nearly all students attending LaGrange College qualify for some type of financial aid, which may come in the form of scholarships, grants, work study or loans. Apply for transfer admission to LaGrange College and indicate on the application that you wish to be considered for financial aid. You and/or your parents should complete and submit the FAFSA (Free Application for Federal Student Aid). You may file the FAFSA beginning October 1 of the year prior to which you are seeking admission. Upon being granted admission to LaGrange College, your next step is to reserve a place in the incoming class. All admitted transfer students intending to enroll are required to submit a deposit. Unmarried students, except those who reside in the local area with family or relatives, are required to live in college-operated facilities. We strongly recommend that you plan to schedule a date and time to visit LaGrange for a tour of campus and an appointment with a member of the Admissions team. The Admissions Office is open from 8 a.m. to 5 p.m. Monday through Friday year-round and by appointment on Saturday mornings from September through April.